Johnny Chan or else known as The Orient Express is one of the most recognisable names in Poker. Know why here. Johnny Chan is up there with the most recognisable names in Poker, and it is deservedly so: ‘The Orient Express’ has remained one of the most formidable players in world poker since the early 1980s. Originally moving to the United States from Hong Kong in 1968, Chan attended the university of Houston studying hotel and restaurant management before dropping out and moving to Las Vegas to play poker full-time. Initially he struggled, working in casinos and even pawning some of his jewellery so as to replenish his bankroll. Doyle Brunson has said of Chan at the time “Johnny was a hot headed kid with some talent. But he couldn't keep his temper under control on know when to quit playing”. Chan turned things around though, and he attributes the birth of his son, combined with quitting his four-pack-a-day cigarette habit as catalysts for his success. Chan has enjoyed huge success at the World Series of Poker, and is tied for second place in WSOP bracelets won along with Doyle Brunson, with ten. Chan is also the most recent player to win two consecutive WSOP Main Event bracelets, taking down the big one in 1987 and 1988, a feat many believe will never be accomplished again due to the vastly increased playing fields. Chan has shown his versatility and ability to play different variations of poker, with bracelets in seven card stud, pot limit Omaha and deuce to seven draw, in addition to his limit and no-limit hold ‘em titles. Chan also appeared in the 1998 poker cult classic Rounders in a cameo. His 1988 WSOP win against Erik Seidel, where Chan has the discipline to check his flopped straight for 3 streets, is admired by Matt Damon’s character Mike; who eventually bluffs Chan successfully. Crazy Fact: Jerry Buss, owner of the Los Angeles Lakers, offered Chan an NBA championship ring if he could win his third consecutive main event. He very nearly did, finishing second to a 24 year old Phil Hellmuth! Daniel Negreanu vs Johnny Chan - Would You Fold? Boneta vs Chan: The Worst Play You Have Ever Seen! When Three Players Have the Same Hand! "Molly's Game" is reportedly full of amazing performances, snappy Sorkin-style dialogue, and it might very well be the best poker movie since "Rounders". The prestigious tournament series returns to its usual venue at the Rio All-Suite Hotel & Casino in Las Vegas, Nevada on May 30th. 77 events will be held next year. The action begins with Phil Hellmuth informing his tablemates that he wore no underwear during his WSOP Main Event victory. Somehow the memories of huge TV cash games stay with us much longer, so here are three of the most exciting and biggest-ever pots to have made it to our screens. 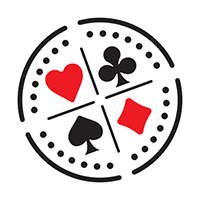 Old School Pros Announce New Crypto-Currency Poker Site - Players Not Impressed?